If you spend $249 or more between now and Halloween (Saturday, October 31, 2015), you will receive a coupon code for $60 for you to use anytime between December 8th and 19th, 2015. When you checkout please make sure to keep the subscribe to email list box checked. *You must subscribe or be subscribed to our email list for us to be able to send you your coupon code, as well as reminders as the redeem date approaches. 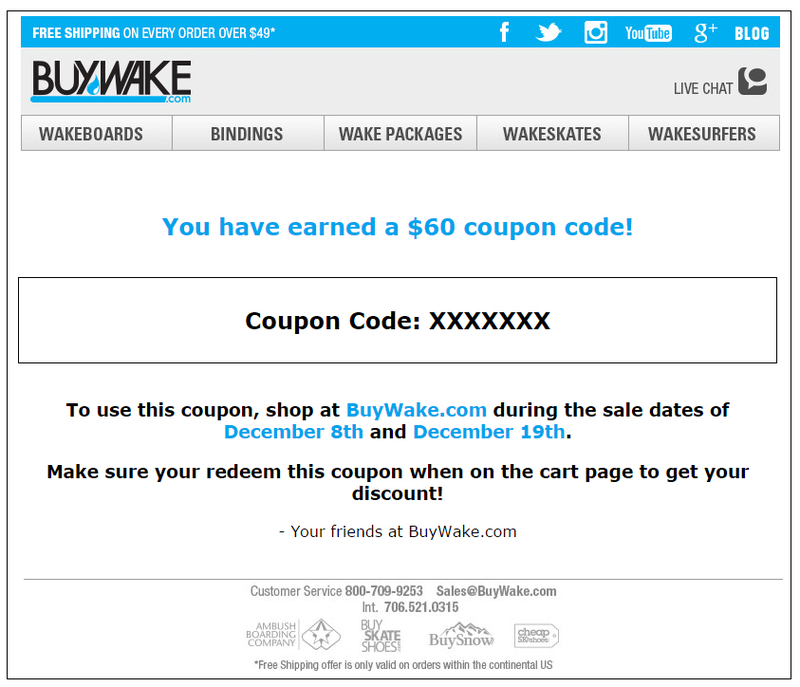 If you do not receive this email within one hour after your order is placed and believe you should have, please get with us at sales@buywake.com, (800) 709-9253, or (770) 521-0315 and we'll be happy to get you taken care of. You return your order for refund. You place your order fraudulently.